In this interview we hear from Miggie Pickton, Research Support Librarian at the University of Northampton. Miggie tells us about some of the challenges, themes and interactions involved in her work. My job title is ‘Research Support Librarian’ and I lead the small (but perfectly formed!) library team responsible for supporting researchers at the University of Northampton. We sit functionally within Library and Learning Services (LLS) and physically in an office with Academic Librarians and Study Skills Tutors. The interactions between the three teams help with the other part of our role: to encourage applied research within the department. So not only do we support research, we try to engage in it ourselves. Undoubtedly the variety. Before becoming a librarian I worked by myself at home for 17 years with very little change to my day to day routine. Coming into librarianship, and particularly to the research support role, has involved non-stop change and development and I’ve loved every minute of it (well, nearly every minute). As anyone who supports researchers knows, the last few years have seen rapid change in terms of the services researchers need. Institutional repositories, research data management, payment of article processing charges, compliance with HEFCE’s Open Access (OA) mandate for the REF, bibliometrics (or should I say “quantitative indicators”? )… – each wave of activity has placed more and more pressure on already-busy researchers and the staff that support them. Don’t get me wrong, I love all this stuff, but achieving engagement can be a challenge. Northampton has relatively few full time research staff and, for most academics, research activity often takes a back seat to the more pressing demands of teaching and learning. Interest in the latest externally-imposed priorities can be hit and miss. How important are making connections and building relationships to the researchers that you support? What challenges do you observe? Do you support researchers with this part of their role? Having a relatively small research community to serve gives the team a great advantage in terms of relationship building. I sit on all the university’s main research related committees and this gives me access to the research leaders and an insight into the institution’s priorities for research. At the other end of the career ladder, we work very closely with the Graduate School – all our training for research students is embedded in the Grad School’s development programme. It is probably fair to say that most established researchers are already well integrated in their own disciplinary networks and don’t need our help. The folk we do try to help are the research students and early career researchers. In the past we have run workshops on web tools for research – emphasising tools for communication, collaboration and dissemination of research. These have always been highly interactive and we’ve encouraged attendees to share their own experiences – a much more effective way of demonstrating the value of networking tools. Does your institution make use of researcher identifiers like ORCID? We are just starting to promote ORCID to research students and staff. We hope to run a lunchtime event in 2016 and invite folk along to talk about and sign up for ORCID identifiers. By then we will have implemented a new ORCID field for records in our institutional repository, NECTAR. In the fullness of time we would like ORCIDs to be implemented in other university systems but that will take a little more negotiation. Are there institutional guidelines for researchers, about how they manage their online profiles? The University has a social media policy which lays out some expectations for those communicating online. A number of our researchers have their own blogs and we maintain a blogroll on our own Research Support Hub. The Hub is promoted as a one-stop-shop for Northampton researchers and typical posts include notices about forthcoming events, sources of funding, new library resources and other items of interest to our research community. The blog is mostly authored by staff from the Graduate School, the LLS Research Support team and the University’s Research and Strategic Bidding Office – all the teams that are directly responsible for supporting university researchers. Would you recommend Piirus to your researchers? Yes of course! Having signed up myself, I was intrigued to see the names of people with similar interests – some were very familiar, but others are potential new contacts. Piirus seems to be an excellent tool for finding prospective research collaborators and I will certainly be recommending it to our early career researchers. 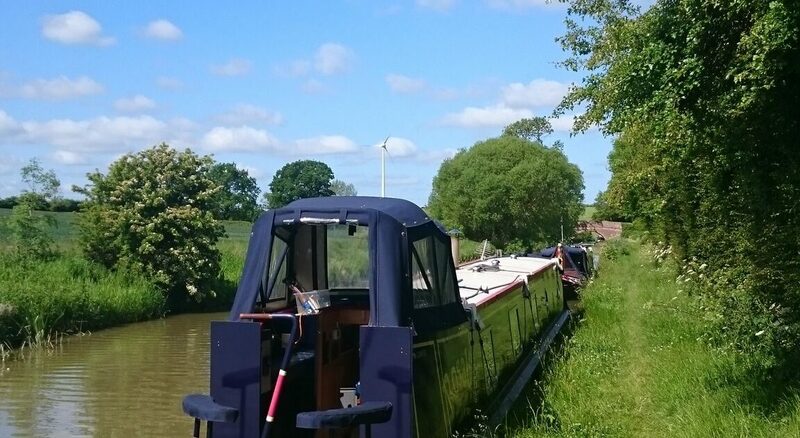 That’s easy – my passion is narrowboating and whenever I can, you’ll find me chilling out on Rosalie, our 58 foot narrowboat. Thanks Miggie! You can read other interviews on the Piirus blog, such as those of a selection of ARMA members who we interviewed in 2015. If you’d like to be interviewed then please do get in touch. You can contact us at hello@piirus.com or on Twitter, with @piirus_com.